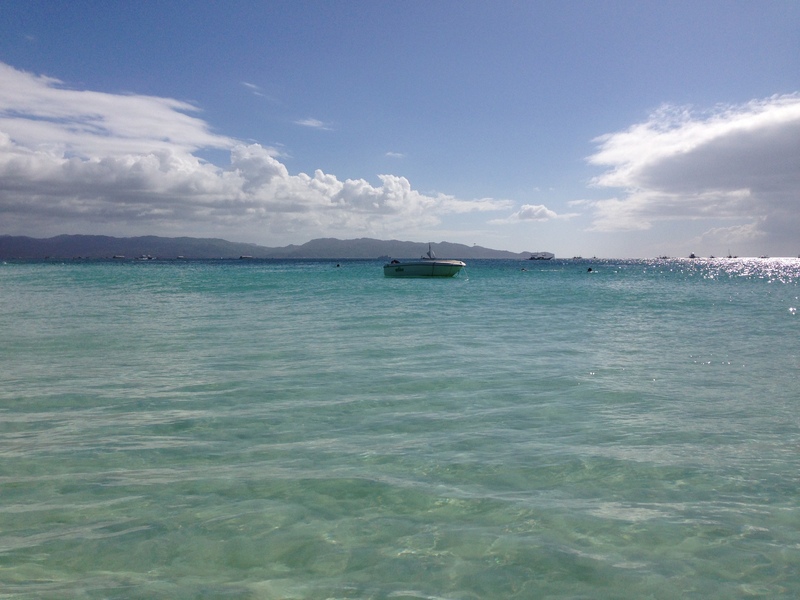 There is nothing more relaxing than being on a beautiful island surrounded by the warm and inviting turquoise sea. Laying on the sand staring off at the horizon where the endless blue sky meets the vast ocean just seems to quickly whisk your troubles away and foster creativity and a positive outlook. 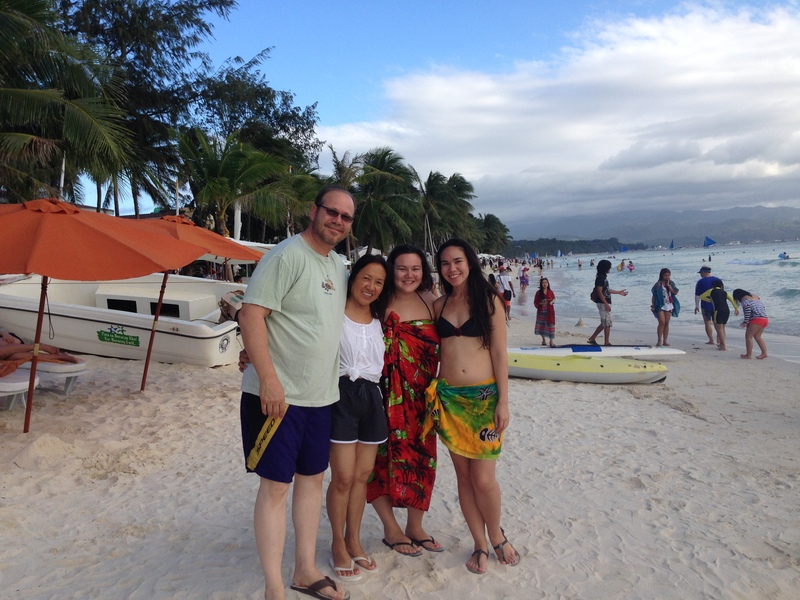 I am so thankful that I got to enjoy this experience in Boracay- one of the best islands in the world. 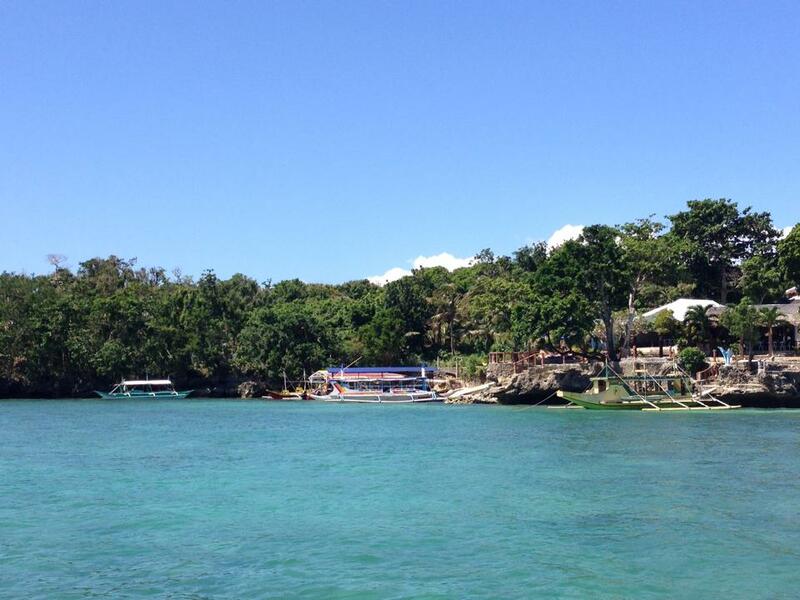 Boracay is a quintessential tropical getaway located in the Visayas Region of the Philippines. It is world renowned as being a destination for relaxation and tranquility. 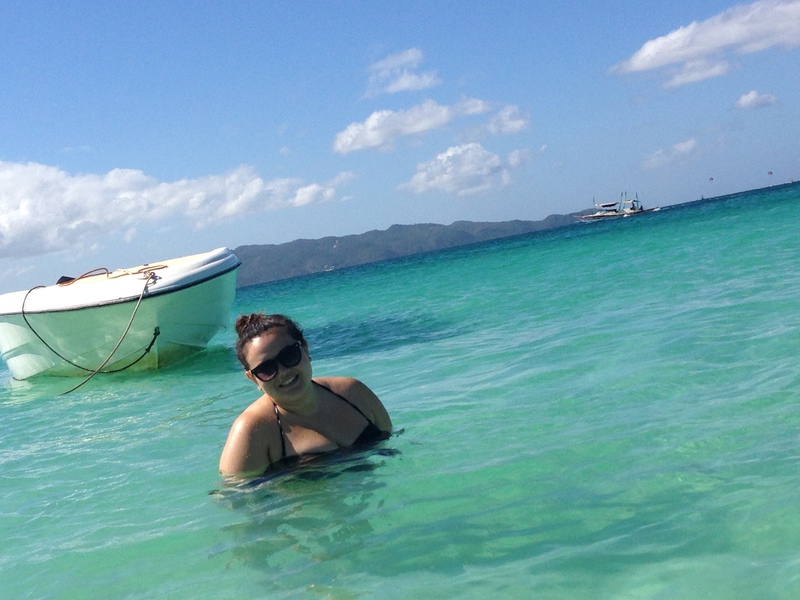 Though my time was short on Boracay, it did not fail to reignite my sense of adventure, and rejuvenate my spirit. 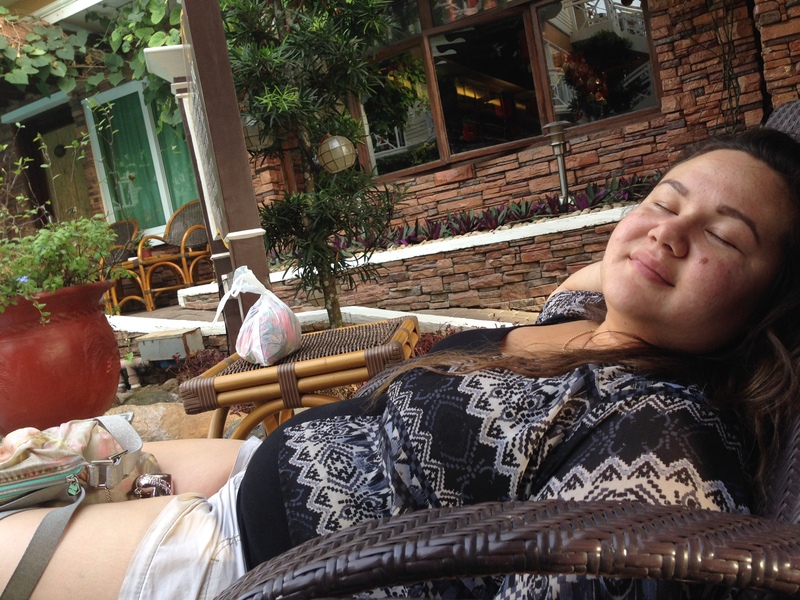 The journey to Boracay started off extremely stressful. I made the dumbest mistake that any traveler, especially an aspiring world traveler could make: I was not careful with my passport. Rule number one, Jamie : Don’t be a dummy. Keep your passport on you at all times in a foreign country. If it were not for my dad asking all of us to give him our passports for safe keeping before we got to the airport, I would not have even realized that I didn’t have it. 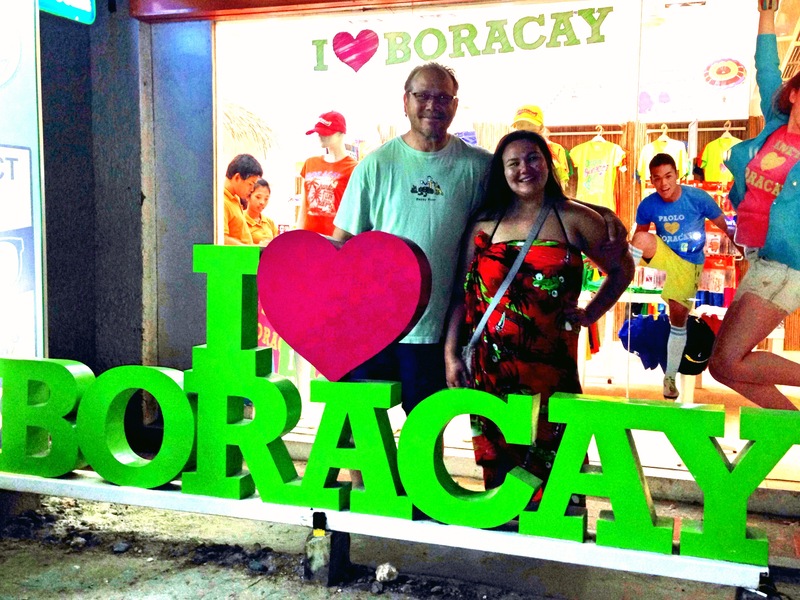 Then the amazing, once in a life time trip to Boracay would never have happened for me and I would have spent the rest of my vacation figuring out how I was going to get home. No fun. When I realized that I had lost it, my mind went crazy trying to retrace my steps to when I last had it in my hand. I figured out that it must be in our rental van we had returned the night before. Our flight to Boracay was leaving in two hours , so it was a race through the congested roads of Manila to get from our condotel to the car rental place and then to the airport. Luckily I found it right where I had left it and took this incident as a severe warning from the travel gods. 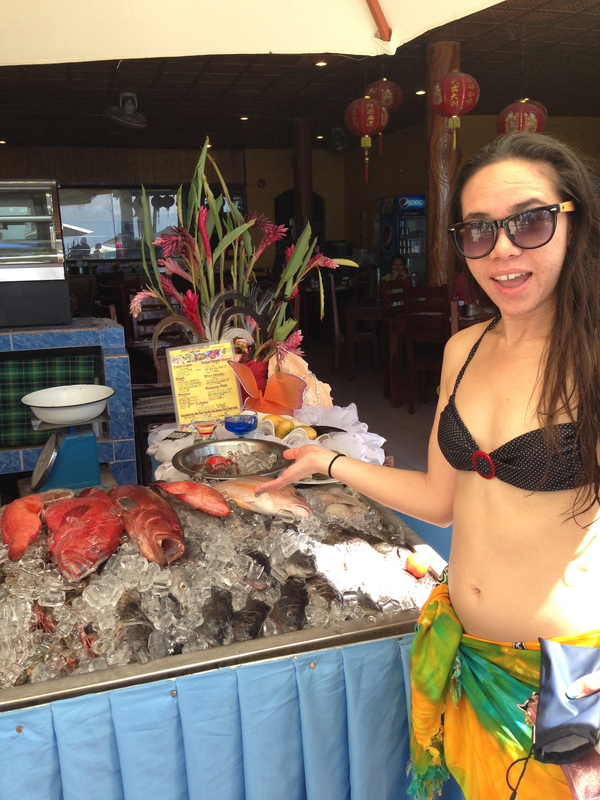 We stayed at the luxurious Boracay Mandarin Island Hotel which was amazing to say the least, and enjoyed the spa, the hotel’s Italian restaurant, and the genuinely friendly staff. 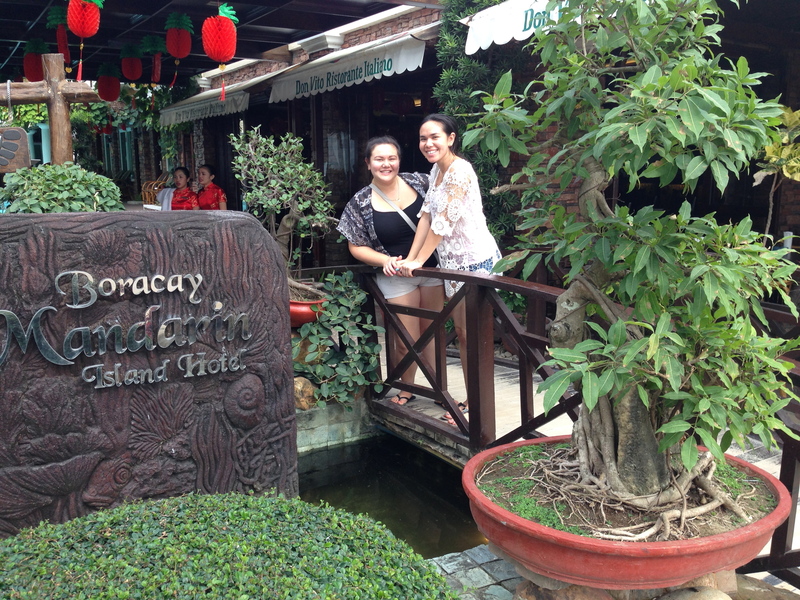 I would definitely stay here again when I visit Boracay. 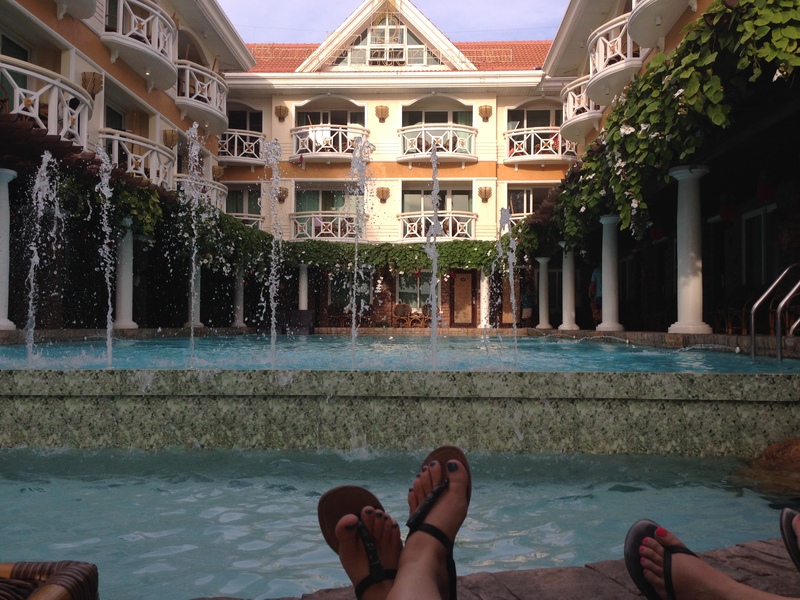 Just hanging out pool side waiting for our massage appointments at the spa. Oh, Patty is serious about relaxing..
After a heavenly massage, and a filling dinner topped off with ice cold drinks, we headed to our rooms for a good night’s rest. The next day started off with a stroll and some relaxing family time on the beach. What ?!? Patty is in the water? 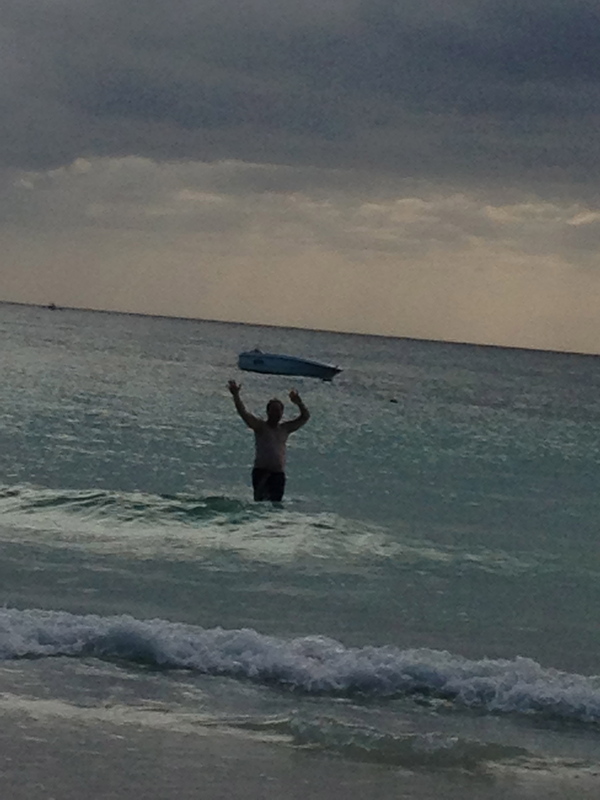 I could live in this water! Just give me fins! After some fun in the sun, Patty and my mom went off shopping. 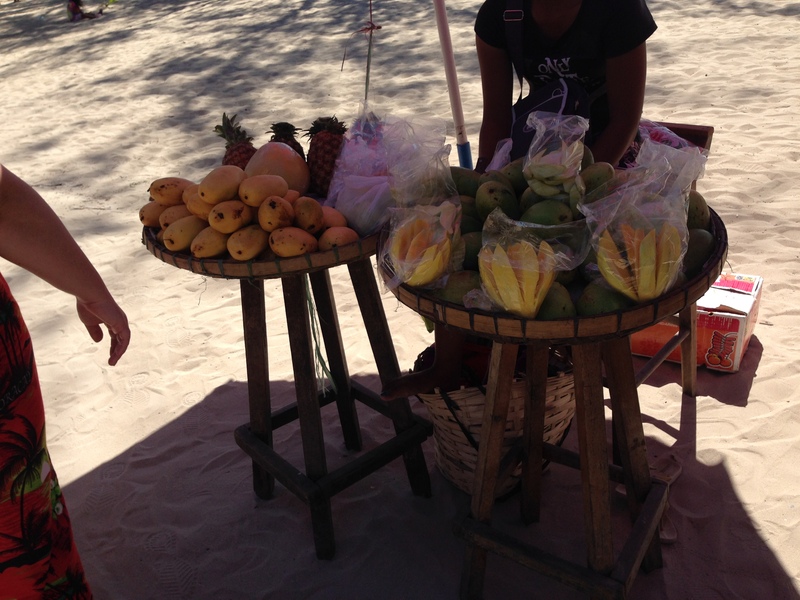 They loved the fresh mangos and other fruits found around the island. 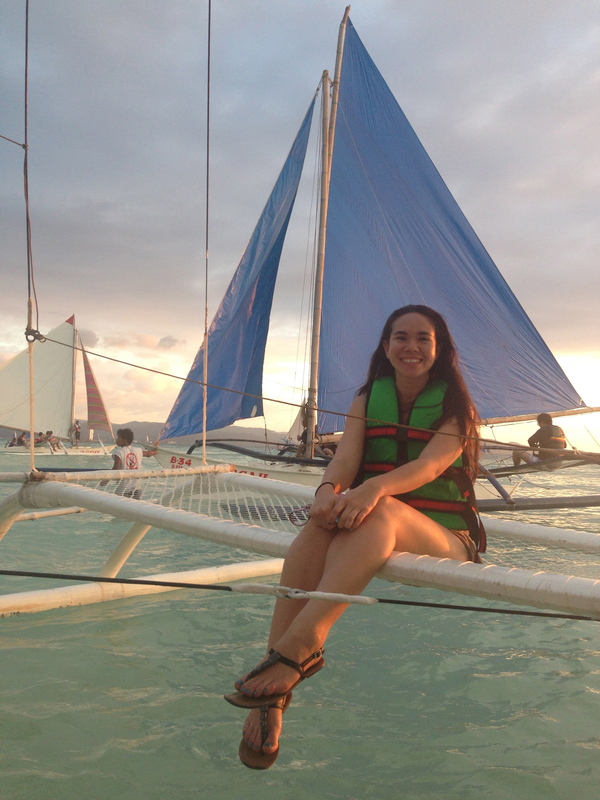 The highlight of my Boracay trip was taking a sunset sail on the Paraw to the middle of the deep azure sea. I recommend this adventure to everyone! You will have so much fun. 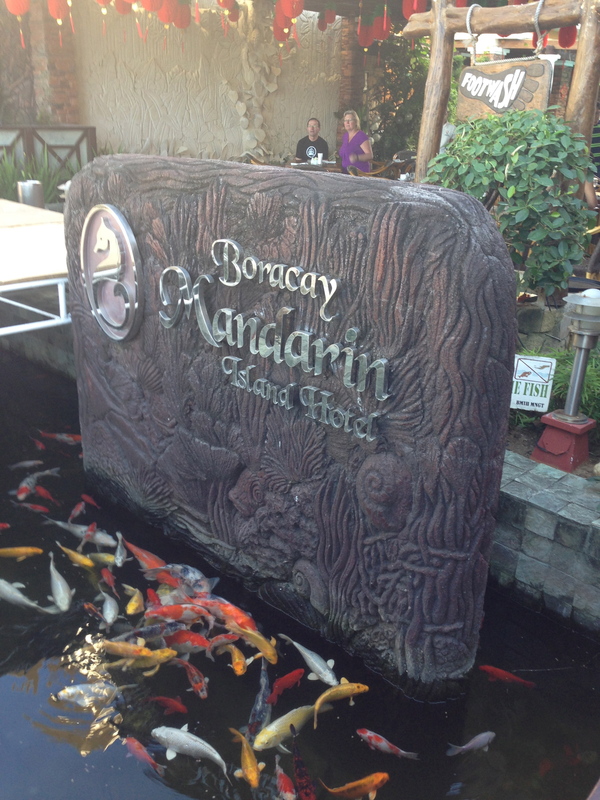 I booked through the Boracay Mandarin and was able to get a private tour. 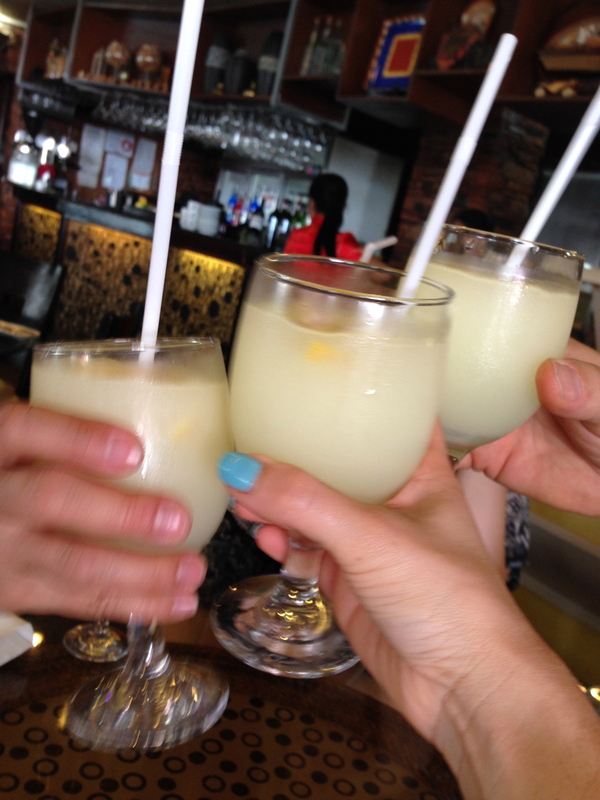 Group tours are also available if you would rather share this experience with other travelers. I think I was feeling a bit selfish. But that’s okay once in a while right? The only thing separating me and the deep blue sea was that thing I was sitting on. The next day, after more lounging on the beach and shopping, we decided to try out some of the fresh seafood restaurants around the island. Catch of the Day for lunch? 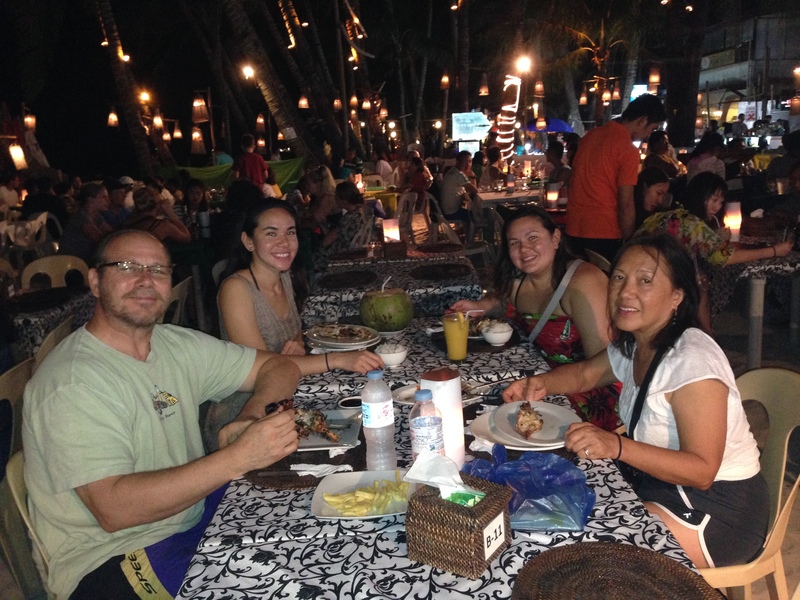 On our last night , after more strolling and lounging, we got together for an amazing oceanside dinner. 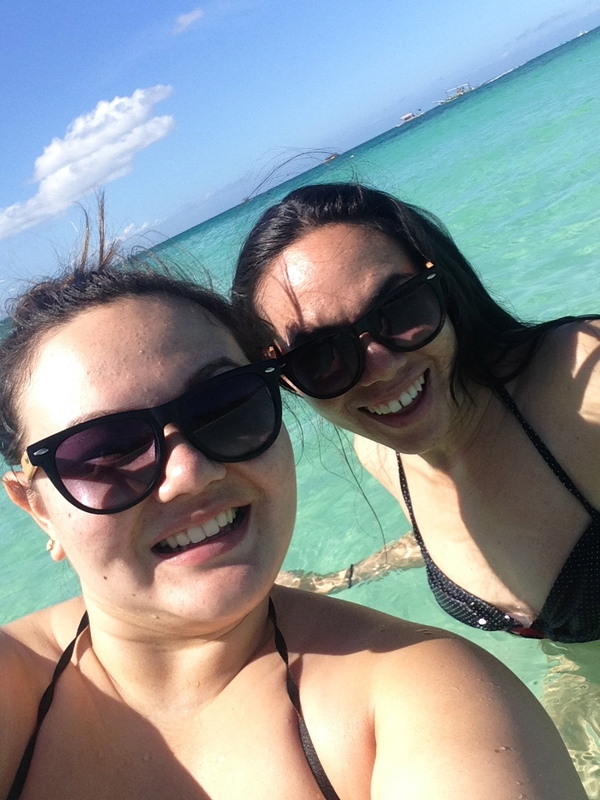 We were only in Boracay for two nights and three days but it was one of the best times ever. 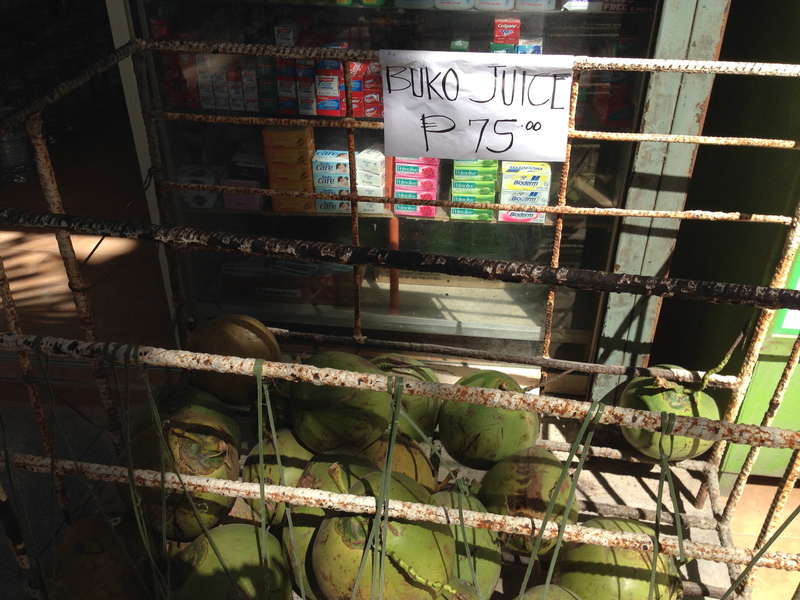 It’s not easy or cheap to stay in Boracay. It will take a lot of money saving and patience to get there. Believe me I was not so sure about vacationing here. It seemed to be too much money to spend when I can just go to the beach and get a massage here in Sunny San Diego. But it was totally worth it. 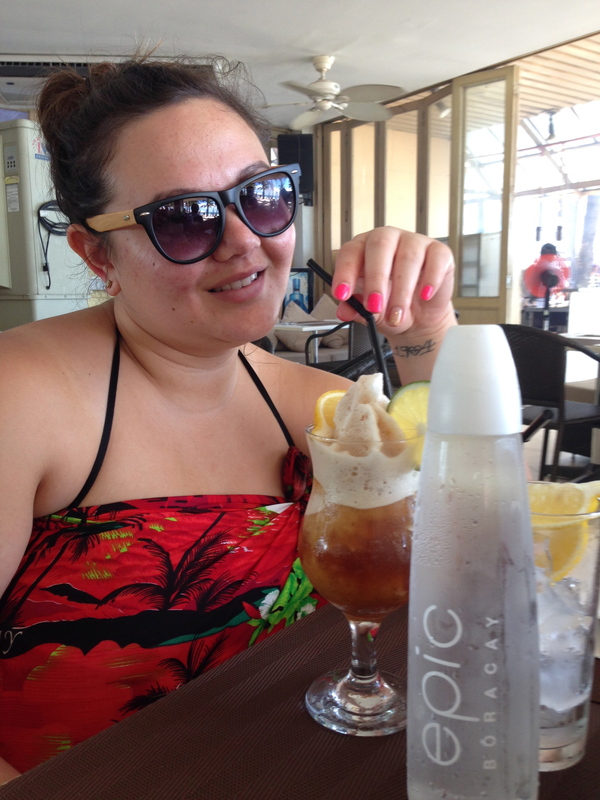 There is no place on earth like Borcay and once you get there you will instantly feel that you made a great decision. The people who live there are so nice, the food is top notch, the beaches are what you see on screen savers, and this view will leave a lasting impression on all of your memories. Argh Matey! Tall ships set sail for San Diego ! It really looks like an island paradise! The water is so inviting, the clear blue skies and I imagine the hot tropical sun where you cannot help but enjoy the ocean. What a lovely vacation you had – I am jealous! Thanks Ruby! You’ve got to go there sometime! 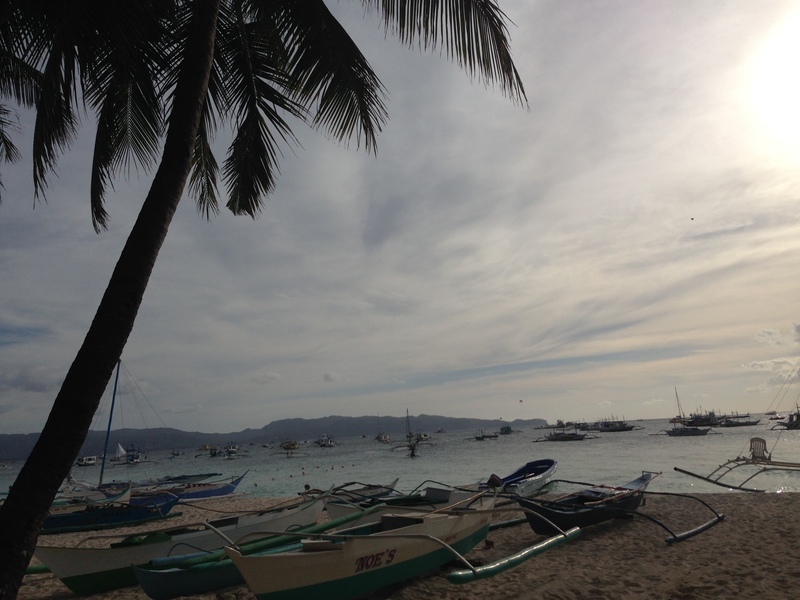 I’m happy that you all enjoyed your Boracay adventure….there’s a lot more to see and visit in the Philippines. The underground river (Palawan) should be your next destination :). I can’t wait to see Palawan! 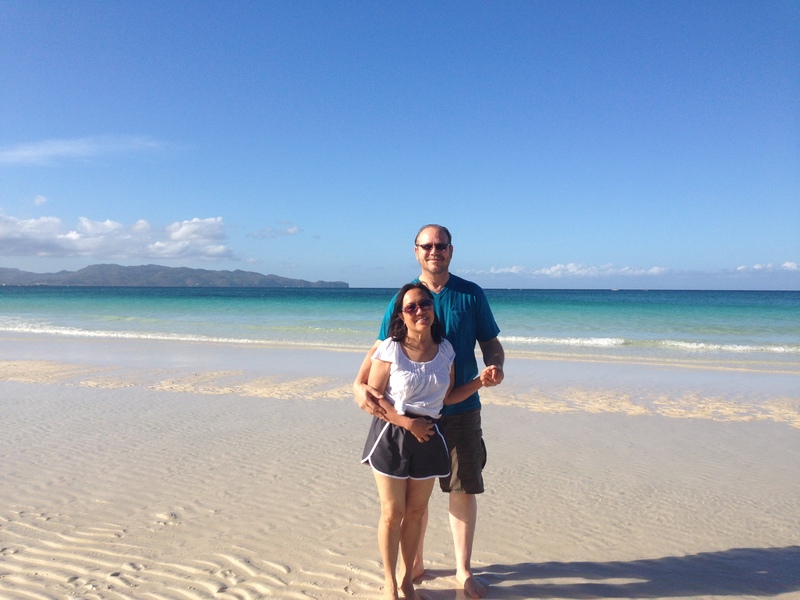 Tim and I are talking about going to Siquijor and Palawan for the next Philippines trip!